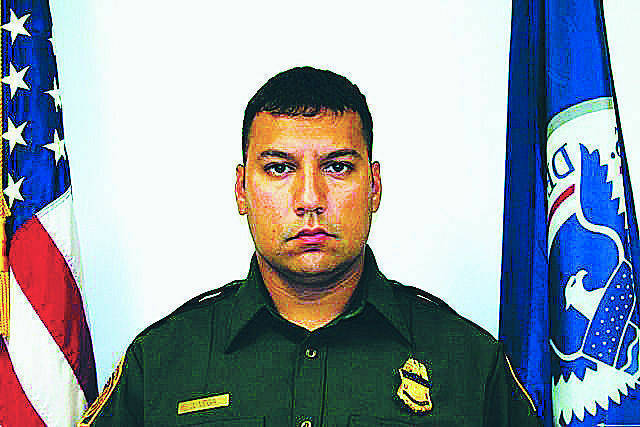 WASHINGTON — The U.S. House voted Tuesday evening to rename the Border Patrol checkpoint in Sarita on U.S. Highway 77 North in honor of the late U.S. Border Patrol Agent Javier Vega Jr., who was killed in 2014 by two undocumented immigrants. The murder of the agent became something of a flashpoint in the 2016 presidential campaign because the perpetrators, who shot Vega during a botched robbery while he was off-duty fishing in Raymondville with his family, had been captured and freed under the “catch and release” immigration policy. The Trump Administration announced in the spring that it had ended the policy. The vote was by voice — there was no debate under the suspension of the rules, which are House procedures for non-controversial legislation — and the bill will now go to President Donald Trump for his signature. U.S. Rep. Filemon Vela, D-Brownsville, joined GOP members Reps. Mike McCaul of Austin and John Carter of Round Rock in sponsoring the legislation. The bill, S. 1716, was sponsored by U.S. Sen. John Cornyn, R-Texas, and co-sponsored by U.S. Sen. Ted Cruz, R-Texas. The Senate passed it in August. The lawmakers had also waged a campaign to reclassify Vega’s death as having come “in the line of duty” in order to give his family additional benefits. In September 2016, the U.S. Customs and Border Protection decided to do so. This post was updated to include comments from GOP Rep. Mike McCaul of Austin.